This cultivar has very large flower heads and very long stems. 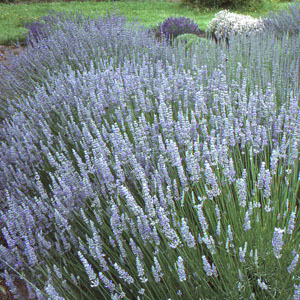 Grown for Its oil, which is considered to be one of the best essential oils among the lavandins. Also nice for makng lavender wands. The calyx color is light violet green; the corolla is violet.